Serving West Austin with 10 and 20 yard roll off dumpsters. Join our Preferred Contractor Program and enjoy special benefits. Is your job a little more than you can handle? Schedule our crew & let us do the heavy lifting! There’s no reason to stress over the stuff you need to throw out. 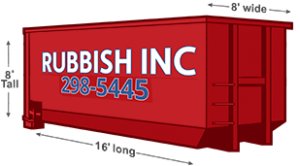 RUBBISH INC™ can be onsite in West Austin with a junk removal crew or dumpster rental within 24 hours. Our professionals are experts at hauling loads of debris quickly and safely even through the winding Hill Country. We’re proud to be a major supplier of junk removal services and dumpster rentals in West Austin. 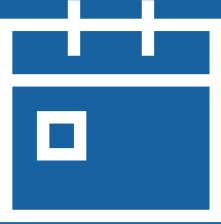 Unlike other service providers we offer transparent, flat rate fees that are free of hidden costs. You get high quality junk removal without the high costs. Located in the heart of Lakeway, we are proud to serve all West Austin neighborhoods. I had Rubbish INC come by and remove 2 loads of junk. These guys came and worked hard to get it all cleaned up right at the estimated price. Would recommend! The trash company wouldn't take all of our trash and we had just moved, so we had A LOT!!! I called and they had a pick up done in 24 hours.Thank you for making life easy! Debris can quickly create health and safety hazards that slow you down. Keep the trash contained with a West Austin dumpster rental! It’s the easiest and most affordable way to clean up messes on residential and commercial properties. All you have to do is call or email to schedule a dumpster rental delivery in West Austin. We can help you select an economical dumpster and get it to your location within 24-48 hours. There are two available sizes for West Austin dumpster rentals – 10 yard dumpsters and 20 yard dumpsters. We offer high quality dumpsters that are well maintained. Our hook and lift system makes it possible to place the dumpster where needed without dragging it. Unlike other roll-off dumpsters, our equipment won’t damage your property. Keep the dumpster for half an hour or a week. Pick ups can be scheduled in advanced, or you can call to get a quicker pick up. Hire a hauler – when you need to get a big clean up done fast our hired haulers can make multiple dump runs in a single day. We respect our client’s schedule and property. Our crew shows up on time and gets the job done even if it means working through the night. If you need someone to quickly load up and haul away junk for you RUBBISH INC™ has the solution. Our West Austin junk removal crew is equipped to handle any size job so trash doesn’t get in the way for even a day. All you have to do is call or email to schedule the service and we’ll handle the rest. Our junk removal crew can be there within 24-48 hours. At least two crew members will show up to quickly load all the junk and haul it off. The crew will bring along a 20 cubic yard trailer for hauling that can be safely wheeled into place. You can choose how much space you need on the trailer so you don’t overpay. Options include ¼ trailer load, ½ trailer load, ¾ trailer load and a full trailer load. Clean up services can be included for an additional hourly rate. Transparent Prices, Affordable Rates & Super Fast Delivery – You Can’t Beat West Austin Dumpster Rental & Junk Removal Services From RUBBISH INC™! West Austin junk removal and dumpster rentals are just a phone call away! Call to schedule fast service in your area. Is there anything that can't be put in your rental dumpsters? When you use a RUBBISH INC™ roll-off dumpster just about anything can be tossed inside – that’s the beauty of a dumpster rental. However, by law we can’t handle or dump hazardous waste. Most West Austin junk removal jobs won’t include these types of materials, but you can always call us if you’re not sure. We also can’t haul gravel, concrete and soil in our dumpsters and trailers. These items are just too heavy and require special removal services. If you’d like to know more about hauling those materials give us a call. How much will my West Austin dumpster rental hold? Or one of your junk removal trailers? We can load up and haul away a lot of debris in a single run. Our junk removal trailer and 20 yard dumpster rental can hold up to 4 tons (6 pickup truck loads). The 10 yard dumpsters can hold up to 2 tons of debris (3 pickup truck loads). I need junk removal or dumpster rental in West Austin by tomorrow. Is that possible? Yep! We take West Austin dumpster rental and junk removal reservations 24 hours 7 days a week. Typically we can get a crew or dumpster out to a property within 24-48 hours, but same day service is also a possibility.